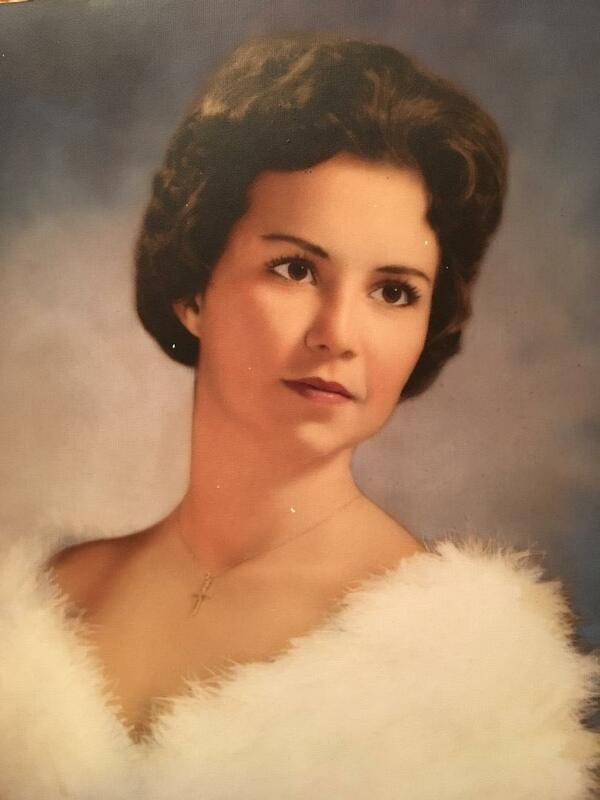 While surrounded by many of her children, during the early hours of Febuary 3, 2019, Connie W. Triplett, returned peacefully home to be with loved ones waiting for her on the other side. She was 70 years old. She is survived by her husband of 17 years, Michael Triplett; her children, Lori (David) – North Carolina, Sherri (John) – Florida, Consetta (Michael) – Utah, Carmela (David) – California, J.D. (Bradley) – Washington, Jake (Veranna) – Alaska, Denali – Washington, Douglas (Maureen) – Florida, Melissa (Curtis) – Texas, Shannon (Kurtiss) – Florida, Doug (Amy) – Florida and Michael (Michelle) – Florida; her twenty-five (25) grandchildren (Amber (Jacob), Spencer Aaron, Loren, Brittany, Corey, Ali, Sara, Kaitlee, Kyler, Kayden, Karter, Malia, Janaye, Shayla, Jade, Mikie, Alexis, Dakota, Kalee, Alissa, Angela, Justin, Trinidy and Caleb); her two great grandchildren, Brody & Aurora); sister, Marcia, her nieces and nephews; her Uncle Bo; her Aunt Betty; and her cousins Judy, Bill and Shelly, and her dog, Buster. She is preceded in death by her parents, Leola and Finis, her Great Granny Roberts and her Brother, “Budder”. Born in Homestead, Florida, she attended South Dade Senior High. She later took courses at the University of Alaska Fairbanks. Her Great Grandma Effie Iola Roberts’ (“Granny Roberts”) took in over 40 children during her lifetime. This inspired Connie to become a foster parent which gave her a place to put her huge heart and desire to serve others to good use. This eventually culminated in her spending her prime years raising 9 children in Moose Creek, Alaska, with Gary Lythgoe, her husband at the time. She had a tender heart and teaching her children values and principles necessary to be successful in life was a priority to her. Values such as honesty, love, kindness, courage, intellect, appreciation for the written word, cleanliness, manners, strong work ethic, and perseverance during trials were held with equal importance as not taking oneself too seriously, a love of laughter and maintaining a good sense of humor in every circumstance. She received many awards throughout her life, including, Alaska’s Foster Parents of the Year, but perhaps her proudest accomplishment was achieving the title of “Gram”. Being a grandmother brought her tremendous joy! In her later years after her children were raised, she met and married Michael Triplett. Together they cared for her mother until her passing and they carried on in her tradition of caring and improving the world around her by passionately assisting with a local registered cat colony. Her spunky, free spirited personality, words of wisdom and encouragement, warmth and laughter will be greatly missed. A Celebration of Life will be held from 4:00 p.m. – 6:00 p.m., Wednesday, February 6, 2019, at The Possum Creek Skate Park located at 4009 NW 53rd Avenue, in Gainesville, Florida. All are welcome to join us in celebrating Connie’s life. In lieu of flowers, please consider donating to the American Cancer Society in her honor. This organization was a tremendous help to her during her final months. Dear family , I am very sorry for your loss . May your hearts be comforted in knowing the Promise given to Miss Connie from God. This Promise is written at Acts 24:15 . May those words of Promise and hope provide solace to your hearts and minds .